Date: 13.04.2018 | Chillout, Downtempo, Lounge, Lo&Fi, Breaks | Tags: Sony Music Catalog, Sony Music, Jean-Michel Jarre, Original Album Classics, Box-Set, Remastered Version | Download Jean-Michel Jarre - Original Album Classics (Box-Set) (2018) for free. 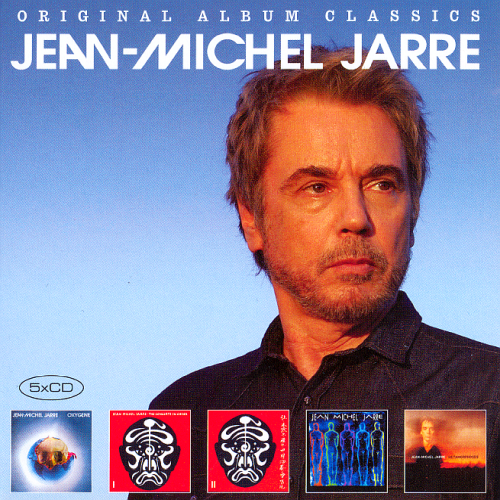 A five disc compliation of French musician Jean-Michel Jarres music. Includes albums such as Chronologie, Oxygene, Les Concerts en Chine and Metamorphoses. 4 albums in mini LP sleeves, including a gate-fold sleeve for The Concerts in China a double CD in this set, which all fit within a box about the same size as a single jewel case. The cover artwork for Metamorphoses is different to the original version, but its these little things that make this sort of thing worth buying. Not sure if Metamorphoses has been remastered like the other albums in this set, or the previous box set, but it sounds wonderful. These are also found on the new remaster from Sony, so it looks like its from the same source.